Today’s readings were the very first stories I ever heard in church. When I was very young, my father decided to reengage with his faith by accompanying my grandmother to Sunday services. When I was about five, he invited me to join them. The first time I sat in the pews, everything seemed so new and strange, but wonderful. What stood out to me the most, though, were these stories. I was fascinated by the radical answer of the prophet and the disciples. Samuel doesn’t even know about God, and yet he’s eager to follow Eli’s instructions, to receive a call to a life of prophesy. Jesus calls to Philip, “follow me,” and Philip drops everything to follow him. Every time I’ve heard these readings since I was a child, I’ve yearned for this kind of certainty in faith and I’ve tried to imagine myself making the same decision to drop everything to follow God. The focus of the Gospel reading is not as much Philip, who impressed me so much when I was five, as it is his friend Nathanael. Philip is filled with excitement about his new mission with Jesus, and he can’t help but share the good news with his friend. Unlike the young Samuel, Nathanael is someone we’d think of as a seasoned and devout believer. He’s a virtuous person “in whom there is no deceit.” Jesus explains that he has seen Nathanael “under the fig tree,” where he would have probably regularly snuck away for prayer. Nathanael is a person of faith, who has likely spent many years wondering about and waiting for the arrival of the Messiah. When Philip comes to him with news about Jesus, Nathanael doubts that the Messiah could come from a small, secluded village like Nazareth, a place that seems too insignificant, and perhaps a bit too familiar, to be the staging ground for the fulfillment of God’s promises. Only after Philip insists that Nathanael follow him to Jesus does he realize the truth. The remarkable similarity between Samuel and Nathanael’s stories is that both receivers of the call misunderstand it at first. It’s only under the guidance of another person that they realize what the call means. Samuel needs a mentor like Eli to distinguish the voice in the night from the demands of his everyday duties. Nathanael needs the persistent witness of his friend Philip to overcome his doubts, seek out Jesus, and realize that he is who he says he is. God’s call is understandable only with the trusted guidance of friends, mentors, and companions. Last year, a journalist named Joshua Wolf Shenk published a book called Powers of Two in which he observed that our culture tends to over-emphasize the idea of the solitary genius. 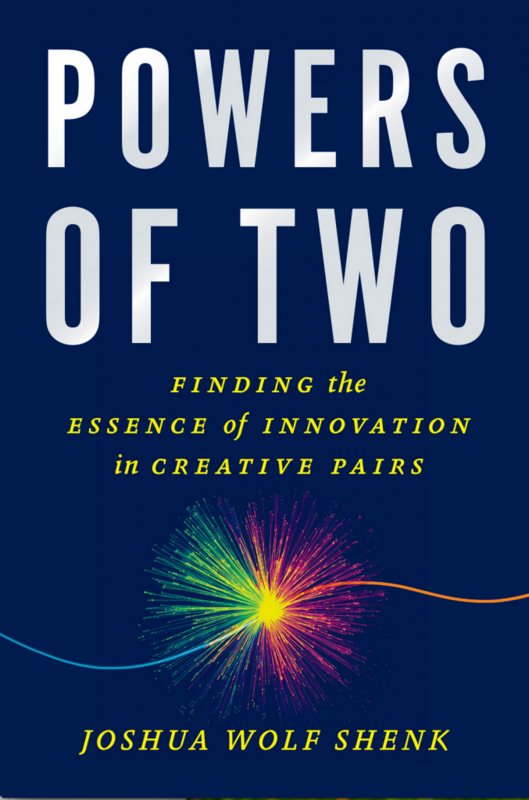 In fact, research shows that most innovation, whether in science or technology or music, comes from creative tension between multiple people. As an example of this phenomenon, Shenk points to Paul McCartney and John Lennon. Both were fine musicians on their own, but their music reached new heights when they worked collaboratively, challenging one another toward a common vision. The sort of spiritual genius that we seek as followers of Jesus Christ works in the same way. Throughout scripture, we learn that we find God through community, through relationship, through creative tension with the people around us. We know this from experience, too. Tomorrow, our nation celebrates the work of Martin Luther King. Initially, however, Dr. King was reluctant to take a leadership role in the civil rights movement. Only through the guidance of mentors such as Bayard Rustin and Howard Thurman did he realize that his gifts from God represented a calling of justice. For me, it’s sometimes tempting to think of my aspirations for a better prayer life or stronger commitment to God as separate from my life with others. But what if Samuel, after mistaking the call of God for Eli’s voice the first time, had kept the second and third calls to himself? What if Nathanael hadn’t followed Philip, instead deciding to remain under the comfort of his own fig tree? They very well might have found God, but they would have missed the point of God’s invitation. They very well might have thought that they knew God, but they wouldn’t have realized their full potential as children of God. They very well might have taken personal solace in their private experiences of God’s grace, but they would have missed out on the opportunity to play a part in the redemption of the world. Certainly, there is a crucial time and place for private prayer, for solitude, for encounters with God in the depths of own hearts. In fact, we need to begin this way, and the root of our life with God is profoundly personal, even hidden. When we enter into the season of Lent next month, we’ll begin to focus on this very personal, very private encounter. But after hearing the call of God in the depths of our hearts, we can fully make sense of God’s call only by sharing our experiences, having them challenged, opening our lives of discipleship to the wisdom of mentors and friends. The clearest sign that this is how God wants us to make sense of the divine call is the way He Himself fulfills all of His promises—by becoming a human being just like us through Jesus Christ. God created us as beings built for relationship, as creatures who find meaning through connections of love with others. And God’s ultimate act of revelation is to join us in the midst of human community. The Incarnation of Christ, the miracle we celebrate in the season of Christmas, is a blueprint for our own lives of discipleship. Who are the people you can talk to for guidance in your prayer life? Where do you find the creative tension that challenges you to continue to bring your life as a disciple to new heights? When God calls you in the silence of the night or in the depths of your heart, where can you turn to decipher a call that might actually be much more than it seems at first?